All available time periods for the MSC program have been filled. Registration is not available at this time. 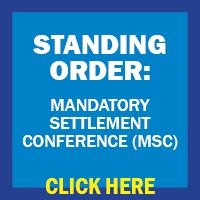 As a party to one of the L.A. Superior Court Mandatory Settlement Conferences you must now select the date and time for your MSC. As you have been advised, this is a court-ordered MSC that will require the appropriate decision makers to be present. For each MSC there will be one Plaintiff Settlement Officer and one Defense Settlement Officer. Two MSCs will be conducted per day and will be scheduled at 9:30 a.m. and 1:30 p.m. on Monday, Wednesday and Friday of each week. THERE CANNOT BE MULTIPLE REGISTRATIONS AND YOU MAY ONLY REGISTER FOR ONE MSC DATE AND TIME. Once a date and time is selected for the MSC, it will be removed from the list of available dates and the parties are expected to attend per the Court Standing Order. Please click on the “Register Now” button at the top of this page. 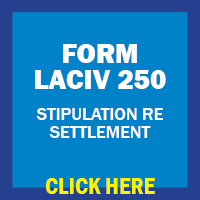 You will be taken to a registration form that will ask for basic information about the parties in the litigation. Per the direction of the Court, it is the responsibility of plaintiff's counsel to register for the MSC.